Press Releases, Newsletters, and Amazon's Customer Experience. Jeff Bezos Chairman and CEO of Amazon.com recently sent his newsletter or press release to shareholders in which he presented a clear view of Amazon's long term goals. Basically it was a continued adherence to keep a watchful eye on short term money grabbing at the expense of customer experience. You can read the entire letter online from Business Insider. Amazon's mission is to wow customers and earn their trust, which in tern gains their business. It's a long term strategy that seems to be working very well for Amazon. Just by reading this letter published to shareholders I learned a great deal about Amazon and the way they perceive the customer experience ahead of profit, by making sure they monitor negative experiences and end up a lot of times automatically refunding an existing customers money. Amazon's pre order system acknowledges lower prices prior to your product shipping and will automatically refund you if there is a lower price found in the market. I found that to be amazing customer service. If I was a large investor or shareholder in Amazon I might consider taking this newest Press Release or Newsletter and have it framed and sent to Amazon. It's such a good idea I might even consider doing it myself. A press release, company newsletter, or blog can have the power to change the tide or lift up a company it is no wonder a lot of people end up framing these news releases. Organizations that rely on publicity and promotions of their products and services understand that press releases are a great tool towards this achievement. Writing the publications appropriately is mandatory. A good press release allows you to attract the right attention, communicate new ideas effectively and enhance the company’s recognition. The bottom line is that great press releases are beneficial to any company that utilizes them. Company owners send press releases to media channels and distribution centers with the intention of preserving them and including them in the clients’ portfolios. All we are saying is take that marketing strategy one step further by mounting and framing your best press releases on a company wall to display your expertise. But the question remains why it is important to frame press releases. When considering the shelf life of an email or paper, the possibilities of keeping original press releases are minimal. Cabinets cannot hold them safe since there are chances of yellowing, fading and deletion because of overlooking and ignorance. For this reasons therefore it is important to come up with professional measures of storing the information for as long as is possible. 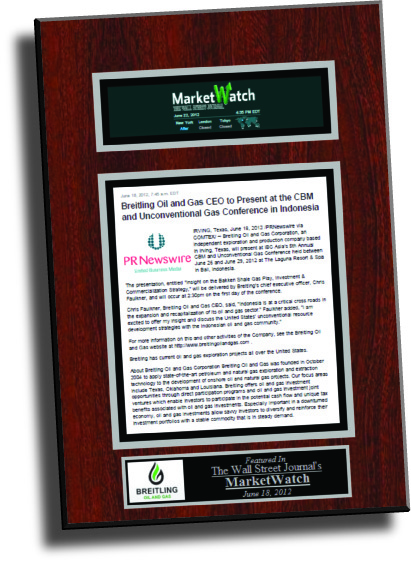 Framing press releases is a form of motivation for life-long success celebrations. It is also a way of appreciating employees for the achievements and contributions that make towards the company’s goals attainment. Since press releases are celebrations of success, the expectation that something happened or is yet to happen is inevitable. For this reasons therefore, companies should invest in press release framing for that lasting impression. If you have an interest in learning about In The News and how we laminate press releases visit our website www.inthenewsonline.com.